Does the foaming ability of a cosmetics product really matter? This is the question we should all pose when scavenging the isles for our go-to products. Saying yes to foam and lather means that you are also saying yes to sulphates (such as SLES - Sodium Laureth Sulphate, SLS - Sodium Lauryl Sulphate,etc.) or other aggravating and problematic surfactants that are used as foam-forming cleansing substances. Many of us are inclined to prefer shampoos and shower gels that not only smell great but also deliver a good amount of lather. Why is that the case? Perhaps, foam helps to distribute the product better? Cosmetic companies go to great lengthens to satisfy consumer needs, this includes using problematic surfactants that foam rich lather, and oftentimes, they opt for cheap substances. The downside is that these aggressive surfactants have such a high cleansing power that damages the skin's barrier, making it susceptible to other substances (including germs). They dehydrate the skin, cause sensitivity, irritation, and trigger allergies. Moreover, split ends and hair loss are on the rise. Does shampoo lead to hair loss? Yes, that's right. Sodium Lauryl Sulfate (SLS) accumulates in the roots of the hair, inhibiting nutrient supply which leads to hair loss. The by-product, 1,4 Dioxane is produced during the production of SLS and SLES, a substance that is harmful to our brain, nervous system and several other organs. To complicate matters, it is suspected that 1,4 Dioxane is a carcinogenic agent, which also causes its fair share of havoc in nature. We opt for ingredients that are eco-friendly and mild on the skin. 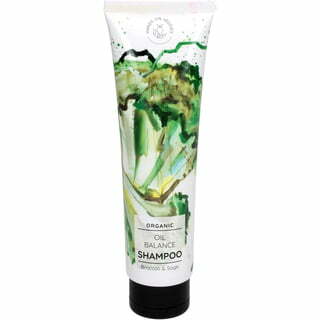 Alternatives such as gentle coconut and sugar surfactants are used. These ingredients are more expensive than the conventional sort because they are sourced from sustainable raw materials. The result is a low degree of lather that is healthier for the consumer and the environment in the long run. Skipping out on sulphates means forgoing the pleasure of mountains of foam when taking a bath, but it also means reducing the risk of allergies, hair loss and irritations, caring for the environment, not worrying about having to treat an itchy, dry and irritated scalp. What's more, mild cleansers are recommended for colour-treated hair to help the longevity of the colour treatment. Not only have we banned the use of sulphates in our cosmetics range, but also added a host of petrochemical substances such as silicone, paraffin, synthetic preservative and colourants, to the list. Our advice is to be critical when it comes to foam-forming cosmetics and question whether or not they do us more harm than good.